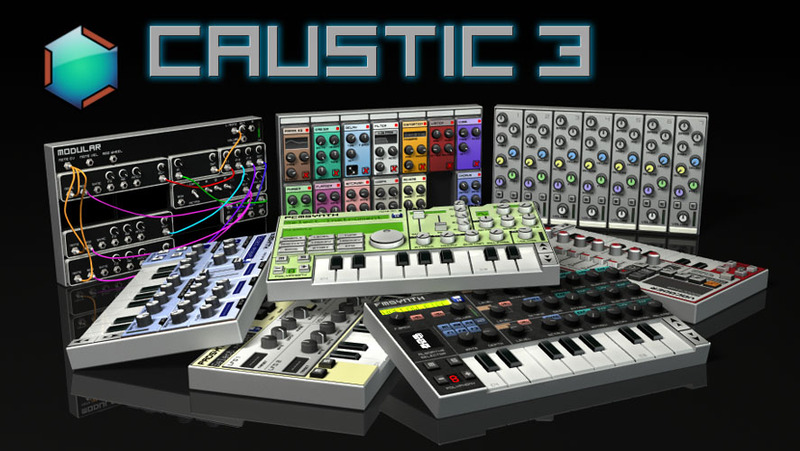 Caustic 3 is a music creation tool inspired by rack-mount synthesizers / samplers rigs. Everything is real-time and optimized for mobile devices. Supports automation on most controls and includes powerful editors for modifying recorded automation curves. All files are stored on the user-accessible storage, and users can supply their own WAV files for use in the PCMSynth, BeatBox, and Vocoder. Class-compliant USB MIDI controllers can be connected via USB OTG cable on devices running at least Android 3.2 and supporting USB host mode. See the in-app help section for tutorial videos and full online manual. Desktop versions. Free, full version, but no support. Linux: The windows versions have been reported to work fine under WINE on various flavors of Linux. Note that you may need to install the "winetricks vcrun2012" libraries as Caustic depends on Visual Studio 2012 runtimes. Try this if you get errors at launch.